Gamers looking forward to playing the new Battlefield 4 game on their new PC rig might be interested in a new video which is being published to YouTube showing the latest game in the series being played on a Ultra HD resolution of 4K. The Battlefield 4 game has been played using for combined GTX-Titan SC 3970X (4.8Ghz) graphics cards providing an awesome resolution of 4800 x 2560 across 3 x 30 inch monitors. Check out the video after the jump to see this awesome rig in action playing the latest Battlefield 4 game which is currently coming to the end of this development and will soon be released for gamers to enjoy. The high powered PC rig is equiped with four EVGA’s GTX Titan SC in conjunction with an i7-3970X clocked to 4.8 GHz, as well as 32 GB of Corsair Dominator Platinum 2133 MHz memory for awesome results. To enjoy the full force of the demo that was recored in 4096 x 2160 resolution making it perfect for YouTubes 4K support, you will need to power it up on your 4K supported Ultra HD TV. But don’t worry even if you haven’t yet purchased your Ultra HD TV you can still enjoy the awesome graphics on your own rig or HDTV.For more information on the setup jump over to the Thirty IR YouTube page. 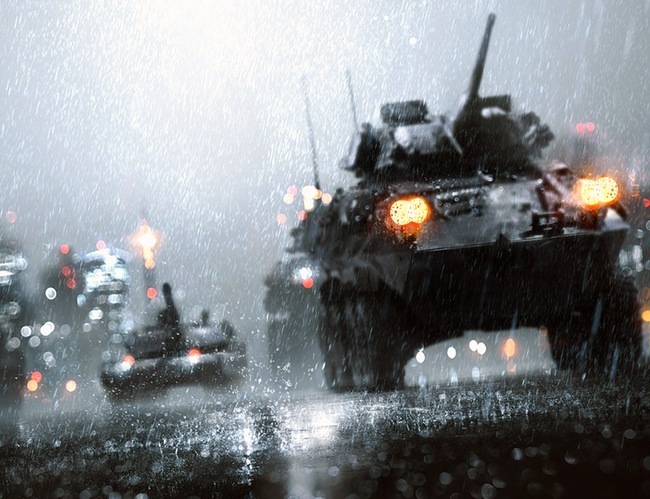 Battlefield 4 will be launching later this month on October 29th for Xbox 360, PlayStation 3 and PC. The Battlefield 4 Second Assault DLC pack for Xbox One consoles will launch on November 22nd 2013.